A voyage aboard the MSC Poesia offers entertainment, luxury and fitness as part of a seven-day holistic cruise. Great for those just beginning a holistic lifestyle, the cruise offers lectures, workshops and consultations led by authorities in holistic and natural health. This small ship only holds 12 passengers at a time. Before you think that such a small ship certainly can’t count as a “real” cruise; think again! This may be the perfect choice for anyone who has decided to adopt a vegetarian lifestyle. Captain Karen is a 20-year vegetarian that does all the cooking aboard the ship. If you want a more intense vegan experience, Karen and her co-captain husband, offer an all–veggie cruise once a year. 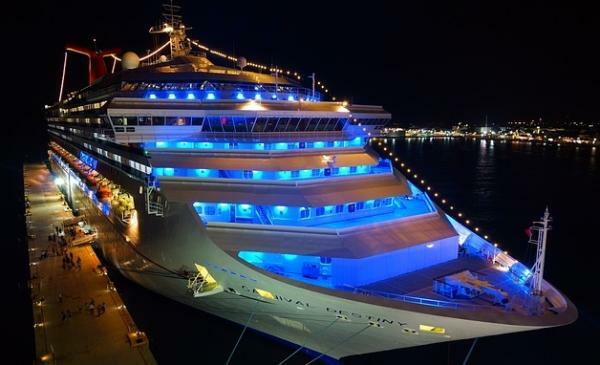 The cruises are not only healthy for people; they are as healthy for the environment as a ship can be. Karen and Rick actually call the ship home and open it, three times per year, to those interested in Eco-tourism. Another offering by MSC Cruises, this voyage will introduce cruisers to the Dukan Diet Method, or the Mediterranean Diet. Guests of the ship will be given a personal health assessment, a diet kit and advisement on individual training programs at the beginning of the cruise. Daily workshops will further serve to introduce guests to the Med Diet and get them started down the right path to overall health. Cruising through the Mediterranean sea and the Atlantic ocean, the ship boasts ports of call such as Morocco, Spain and Portugal. Not only will guests visit amazing countries but they will have a chance to meet Dr. Dukan himself. Who better than he to answer any questions you have about the Mediterranean Diet? This British cruise line offers cyclists an amazing journey. Not only can guest cycle on the ship’s very own traveling mountain but can take part in bicycle tours at ports-of-call. Five hour rides include stops at destinations, sightseeing and photo opportunities. Don’t worry if you’ve never cycled before. The cruise offers tours for everyone; beginners and experts, alike. If you don’t have your own bicycle, don’t worry about it! You can use one of the touring bikes the ship carries on board. Kick your New Year’s resolution into high gear by combining it with a pampering vacation. Whether you choose to partake in on-board yoga classes or rip through the mountains on a bicycle, you’re sure to find your own kind of adventure on any one of these cruises. Author Genevieve Pomilia the author of “Cruising your way to health!” is a nutritional consultant and fitness expert. She strongly recommends the 28 day Mediterranean diet plan for great family health and active lifestyles. I love the health themed cruises that MSC is offering. I can see this concept being extremely popular.